Every local business should have a website. If you don’t have one, then you’re losing out on customers – big time. One of the biggest challenges for many small businesses is keeping their website up to date, without having to pay a web designer hundreds or thousands of dollars for every minor change required. This is why WordPress is awesome. It gives you more control over your own website and the content you publish. WordPress has fast become the defacto standard content management system for websites on the internet. It was originally designed as a blogging platform, but has transformed into an extremely flexible, robust and easy-to-use website building tool. WordPress powers more than 23% of the web — a figure that rises every day. Want to add a blog? There’s even plugins to turn your WordPress website into a fully fledged E-Commerce store, ready to take online payments within minutes. 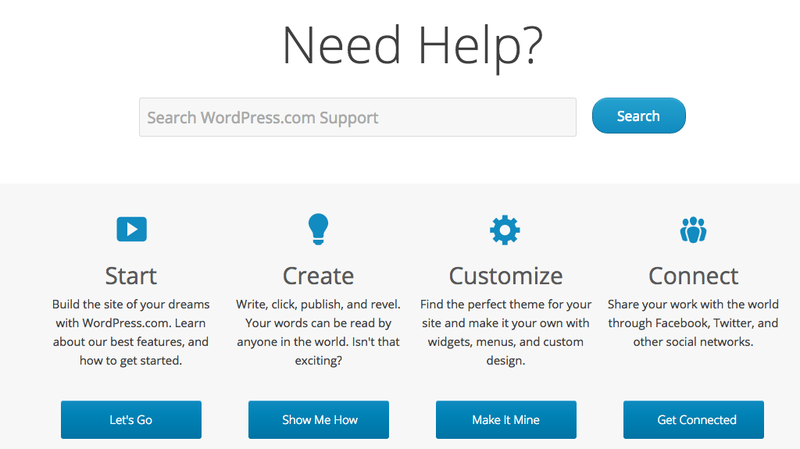 Simply put, WordPress is awesome and a must-have for any small business, at any budget level. WordPress takes the challenge out of many of the challenging aspects of updating your website, and managing your content. It does look a little bit daunting at first, the learning curve is very fast and you should be able to update all of your content, write blog posts, and upload files in no time. I taught myself how to build fairly complex websites just by trial and error and a very limited understand of code. Choosing a design, layout or theme for your local business website is made easy by Themeforest. On this website there are literally thousands of different WordPress themes to choose from, all of which style your new website differently, and give a wide range of different features included. Many themes come with image slider plugins included with them, such as the Layerslider or Revolution slider which give a lot of design flexibility. All themes will typically have a ‘theme options’ section that allows you total customisation of your colours, layouts, fonts and other areas. Or if you want a totally unique design, you can get a custom WordPress template made up using Upwork or Design Crowd. There are thousands of WordPress plugins that add functionality to your website – and most of them are free! Plugins are what make WordPress the best platform for small businesses to build a website on. The improvements you can make to your website using plugins are endless. Akismet – for comment spam and usually comes with the initial WordPress installation. Instapage – for landing pages you can use for your Google Adwords campaigns and lead generation. WPRocket – the best caching plugin on the market – great for speeding up your site. 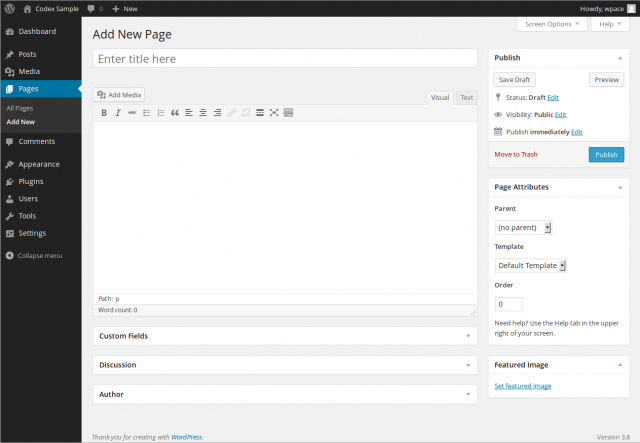 Gravity Forms is one of the best plugins on WordPress and a reason in itself to use WordPress. You can create an unlimited number of forms on your site, and you can even turn them into payment gateways by using the huge selection of Gravity Forms plugin extensions. For one my local basketball club, Norwood Flames, we build a custom ‘pay fees’ section using Gravity forms and EWAY to take all of the fees online. Uploading files, images and other attachments is extremely easy with WordPress. The drop and drag functionality makes the uploading of images to a page or blog post a very simple task. WordPress was originally designed as an blogging platform and it’s native blog functionality is the best in the business, allowing your business to create and maintain a robust and feature rich blog with ease. And as we’ve mentioned previously, having a blog for any local business is a must. Blogging can be extremely effective way to generate traffic, increase your local SEO rankings, and improve your business’ credibility to your potential customers and in your local area. A lot of other content management systems are not very SEO-friendly out of the box and require add-ons and extensions just to get to where WordPress is when it’s first installed. Luckily, WordPress has a very good foundation for SEO and it’s usually pretty damn good out of the box. However, if you want to supercharge your WordPress SEO, you need to install Yoast’s WordPress SEO plugin. If you are having an issue with your website, chances are someone else has too and have written a blog post about it, or commented in a WordPress forum. A quick google search should uncover the answer to just about any of your WordPress problems. And if you get stuck, you can post a job of Elance or oDesk to get some help. If you’re not happy with your current website developer, you can easily get someone else to take over so you’re not limited by what can be done! There have been some amazing services pop up recently who are designed to help manage your WordPress website, keep it updated and secure. Services like WPCurve could make your life a lot easier when it comes to managing and maintaining your business website. The beauty of using the most popular content management systems is that you’re not locked into one website designer or developer who can make changes on your site. No ‘custom CMS fees’, no ‘bespoke system’, and no lock in contracts. All you need is access to your WordPress backend and to your FTP server, and you can have anybody develop for your website. There’s dozens of websites full of freelancers and outsourcing companies with the skills to make the changes to the WordPress website you want – and usually at a very attractive price. One of my favourite additions to theme builders is the WordPress Visual Composer plugin, which has added drag and drop functionality to building a page’s layout. We’ve used this plugin in the creation of a number of WordPress websites, and the drag and drop functionality is efficient to use and eliminates the need to remember the shortcodes associated with the theme. WordPress’ security out of the box in my opinion, one of WordPress’ biggest weaknesses as it requires a number of plugins and alterations to ‘harden’ an initial WordPress installation. As the number of people and businesses using WordPress increases, the more incentive hackers have to target that particular platform. This is why keeping your WordPress plugins and versions constantly updated, and monitoring their performance is vital to the health of your website. Woocommerce is a robust E-Commerce plugin that immediately turns any WordPress installation into a online store. There are hundreds of WooCommerce based WordPress themes, and ‘Woocommerce friendly’ themes that work seamlessly with this plugin allowing you to start selling your products and services through your website. WooCommerce is continuing to grow at a rapid rate, they even now have their own line of plugins and extensions to further extend the functionality of anyone using this awesome online store plugin. A major issue when creating a new website for small businesses is the loss of old rankings, and needing to put 301 redirects in place to redirect old content to the corresponding new version of the new site. The benefit of using WordPress is the ability to easily export your entire website; including pages, posts, media, permalinks, users and theme options by utilising the import/export functionality. Once you’ve exported, you can easily import your entire WordPress data into a new WordPress installation on a staging server or another domain name, which means you don’t have to manually input all your data when changing designs, templates or themes. By retaining your existing permalinks and page structure on a new design/domain name will mean you won’t lose any rankings as a result of using new URL’s generated by a different content management system. Most of the best WordPress themes are quite mobile friendly out of the box, which is important for your website’s usability. Responsive sites are typically a sound option for a smaller local business as opposed to a full dedicated mobile website, and the selection of the right WordPress theme will eliminate the need to get a mobile website altogether. You can test whether your website is mobile friendly using Google’s tool. WordPress is constantly being worked on and updated by the massive WordPress community, and the hundreds of dedicated WordPress developers. New features, functionality, plugins and security updates are being rolled out daily which means your WordPress website can continue to improve over time, and stay up to date with latest changes in technology. If your website serves customers in multiple locations, or in different countries where your customers speak different languages, then there’s WordPress plugins that can translate your site accordingly. An interesting post by Neil Patel about how he increased his search traffic by 47% by translation his blog into 82 languages, outlines how to use the Transposh plugin to translate your website into multiple languages. This may not be applicable to every website or local business, but it could be a useful addition to your blog if you publish a lot of content! 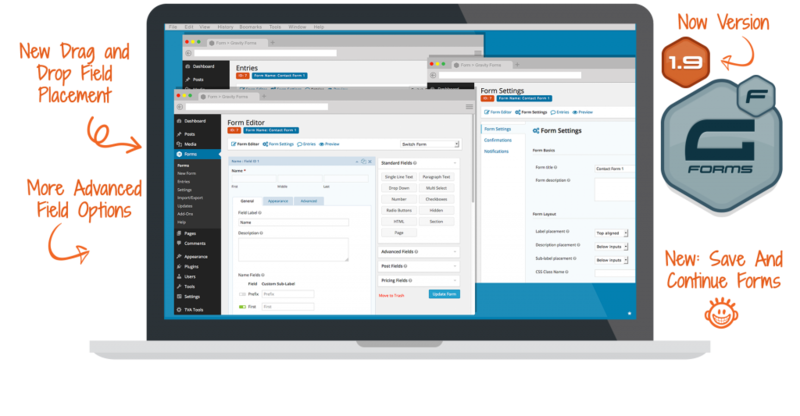 Out of the box, WordPress allows for multiple user roles levels which is designed to give you more control over what your employees and contractors can do on your website. WordPress allows you to give different access levels to manage tasks like writing and editing posts, creating pages, moderating comments, managing plugins, managing themes, and managing other users. Super Admin – somebody with access to the site network administration features and all other features. WordPress is a 100% open source a free content management system which means there are no ongoing licence fees for using the platform! 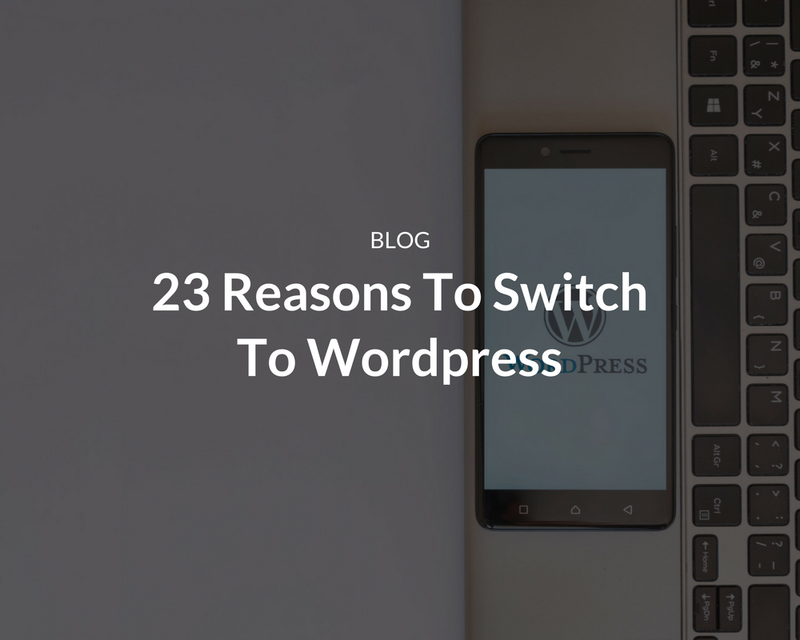 This means you’re not going to constantly be charged every time you want to make a change to your site, or upgrade to the latest version of the WordPress platform or update any of your plugins. As a part of your website, you may require the ability to provide different levels of access to your clients, or to people with different levels of subscription. Fortunately, WordPress has some exceptional plugins that can create a protected membership area in just a few clicks of the mouse. For example, the Wishlist membership plugin can turn your WordPress website into a full-blown membership site complete with protected, members-only content, integrated payments, member management – in just a few seconds! Your website may need a forum or help centre where you can discuss how to use your products or services with your customers (or potential customers). 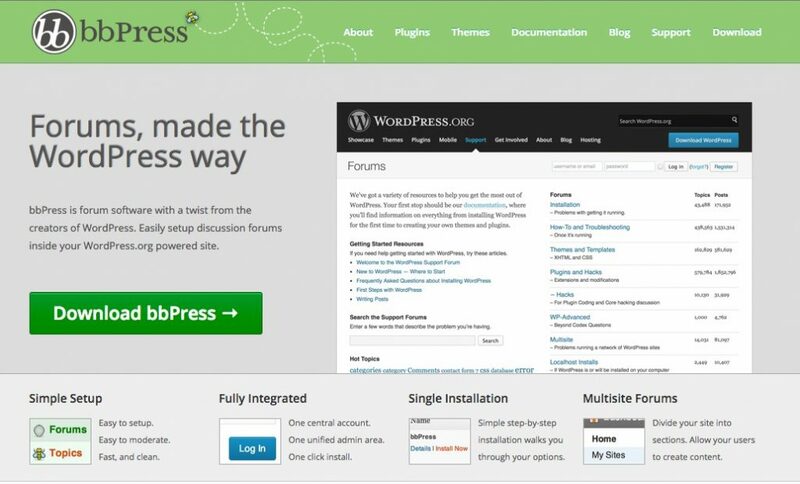 Luckily, WordPress has created forum software designed to easily setup discussion forums inside your website which makes setting up your own forum, a very simple process! As your business grows, the need for a CRM and integrated marketing platform grows as well. Most of the popular CRM’s on the marketintegrate seamlessly with WordPress including Infusionsoft, Zoho and Salesforce (just to name a few). Our favourite CRM is ActiveCampaign and it has taken strides over the past couple of years to be a leader in the CRM and marketing automation space. Gravity Forms also has some extensions that can be added to any website form which allow for all data to be passed through directly into any CRM. This is even easier now when you use Zapier integrations – all the top web applications now support Zapier which make complex API integrations as simple as a few clicks of the mouse! Having a WordPress website can help eliminate many of the costs that website designers typically charge you for. A couple of small changes to your website each month can cost several hundred dollars, so learning to manage your own content and make minor changes yourself, can significantly reduce your outlay. 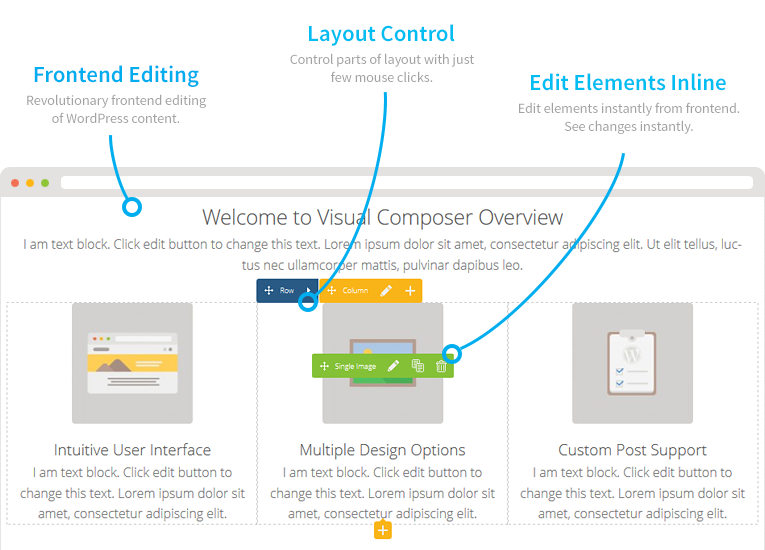 Having built in visual composer and other plugins make it a lot easier for you to update and manage your own content. There is a small learning curve – but it pays off in the long run if you can create your own pages and make small cosmetic changes to the site without having to involve your website designer. Also, having the ability to add plugins to improve your website and extend it’s functionality for free, can significantly reduce your overall expenditure on your website! All local businesses should have a website – and the best platform in the game is WordPress. That’s not to say there aren’t other excellent content management platforms out there, but for a local business looking to get the best ‘bang for buck’, WordPress is hands down the best choice. WordPress can save you a lot of time and money, and is well worth the investment in the long run! 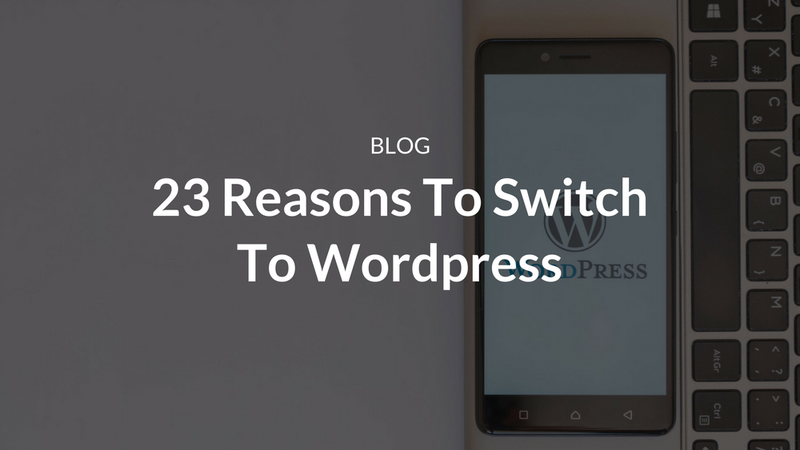 Have you recently switched over to WordPress from another CMS? Let us know how it went and whether you would recommend switching websites over to WordPress.